Two people were injured after shots were fired at an apartment near 35th Avenue and Indian School Road in the early morning hours of Saturday. 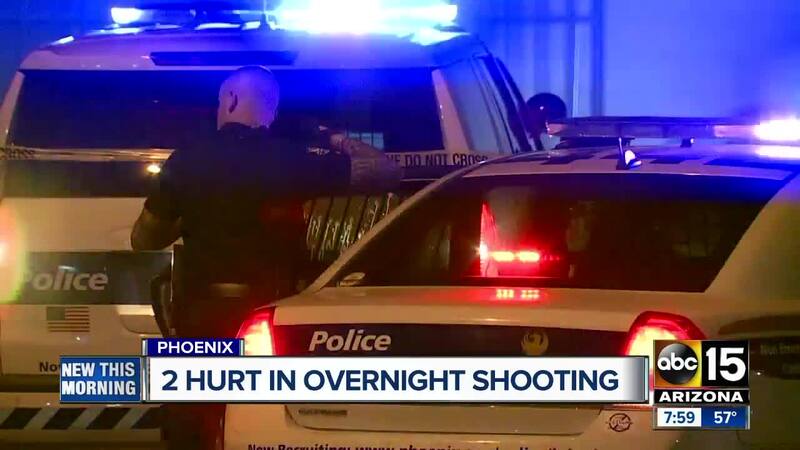 PHOENIX — Two people were injured after shots were fired at an apartment near 35th Avenue and Indian School Road in the early morning hours of Saturday. Phoenix police say they responded to a call of shots fired in the area of 35th Avenue and Indian School Road around 1 a.m. When they arrived on scene, police say an 18-year-old man and 17-year-old girl were struck by gunfire. Their injuries do not appear to be life-threatening, according to police. The identities of those involved in the shooting are not currently available. This is a developing investigation, according to Phoenix police.